Blackpool’s Charlie Adam has handed in a transfer request in hope of pushing through a move during the January transfer window, Liverpool are likely to submit an improved offer after having a £4m offer rejected last week. The Scottish international turned in another eye-catching display against Sunderland on Saturday despite the ongoing saga over his future. The Scotland midfielder scored a penalty in the home defeat. Blackpool boss Ian Holloway insists that Adam should stay put until the summer, but now he has to contend with an official request. Holloway said: ‘Has his head been turned? Yes. It can be turned. He understands Liverpool is huge. With Kenny Dalglish in charge, the club is so stable. ‘They have got new owners and they are going to get back to what they were and Charlie deserves to play for them one day. 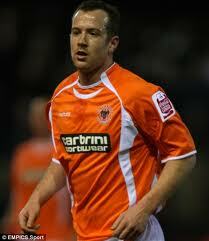 Blackpool have since rejected Charlie Adams’s transfer request, with hope of keeping hold of him until the season. 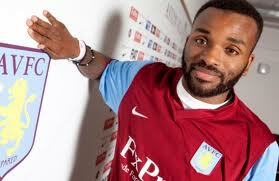 Darren Bent hit the winner for Aston Villa yesterday against Manchester City. This was after an eventful week when a feud between Bent’s former manager Steve Bruce and current manager Gerard Houllier had erupted around the sale of Bent’s transfer from Sunderland to Aston Villa last week. Steve Bruce suggested that Aston Villa had approached Darren Bent long before the deal went through and is not happy on how Gerard Houllier went about pursuing Darren Bent after the striker handed in a written transfer request. Gerard Houllier hailed the striker, scoring on is debut and repaying a slice of 24m Villa paid for his service after media critics were baffled by the move suggesting that he’s not worth that much. The England striker hit the only goal of the game yesterday when Manchester City’s Joe Hart could only parry Ashley Young’s shot into the path of Bent, who was on hand to tap in the rebound on his debut. The striker said; “People questioned why I joined this football club but look at the players around me,” said the striker, who was watched at Villa Park by England manager Fabio Capello. Do you agree or disagree that Darren Bent is worth £24? Let us now in the comments section below. 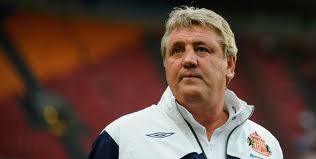 Sunderland Manager Steve Bruce has slammed Gerard Houllier over Darren Bent’s move to Aston Villa. Bruce has accused Houllier of approaching the striker long before the deal went through. Bruce insists a top class manager would have shown respect and called him to say they were interested in the forward but up until this point he still hasn’t received a phone call from the Frenchman. The Black Cats boss also admitted that Bent want to leave for Turkey last summer but the he managed to convince the England international to stay. “I would have thought, maybe that might have been the way forward, it usually is with the great managers I’ve had the pleasure to deal with in the past, that’s usually the case. “But in this, so the whole thing has disappointed us and I thought we’d averted it last summer – he (Bent) wanted to go to Turkey last summer and we averted it then. “So, it’s the timing for me – if I’d have known four weeks beforehand or five, six weeks beforehand from his agent or Darren that they were unhappy at the club and wanted to move on then I wouldn’t be in a position that I’m in now, with ten days before the window ended and with an injury to Danny Welbeck, that’s put us in the situation that we’re in and it gives you very little time to try and do anything. “There’s a lot of people bitterly upset and disappointed, and rightly so. “My big disappointment of course is Gerard Houllier too who up until this time now, I still haven’t had a phone call from. Bruce said he was shocked when Darren Bent handed in a written transfer request, just as the club and fans were, “I think what shocked us all was the written transfer request with Benty that it was so brutal, you know. “And then in my experience with him, what’s the point of keeping someone who doesn’t really want to be here. “I have to say in the last few weeks we have all been scratching our heads saying ‘has there been something wrong with Benty, he doesn’t look himself’. Manchester City captain Carlos Tevez has handed in a written transfer request. Tevez has been unsettled at Eastland following the arrival of Mario Balotelli. 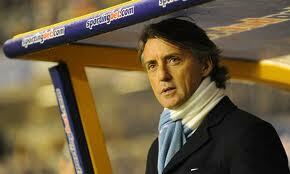 Frustration showed last week against Bolton when Mancini took Tevez off as a substitute. In addition, Tevez hasn’t settled in well with Mancini’s rotation policy. The pair also had a half-time row during the 2-1 victory over Newcastle in October. 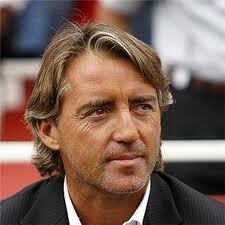 It has been a well known fact that the Argentinean star has long been unhappy with life under City boss Roberto Mancini. Tevez is rumoured to have told chief executive Garry Cook that he wanted to leave two weeks ago and followed it up with an official letter last Monday. Tevez has expressed his desire to leave and now wants to force through a move to Barcelona when the January transfer window re-opens.